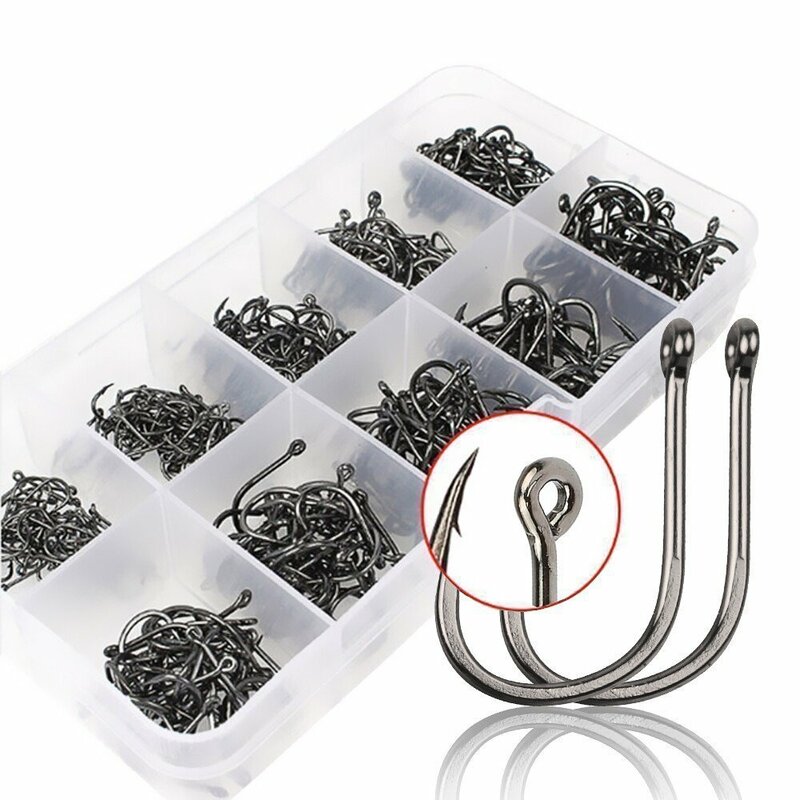 I do a lot of Blue Gill fishing so I like a nice small hook. 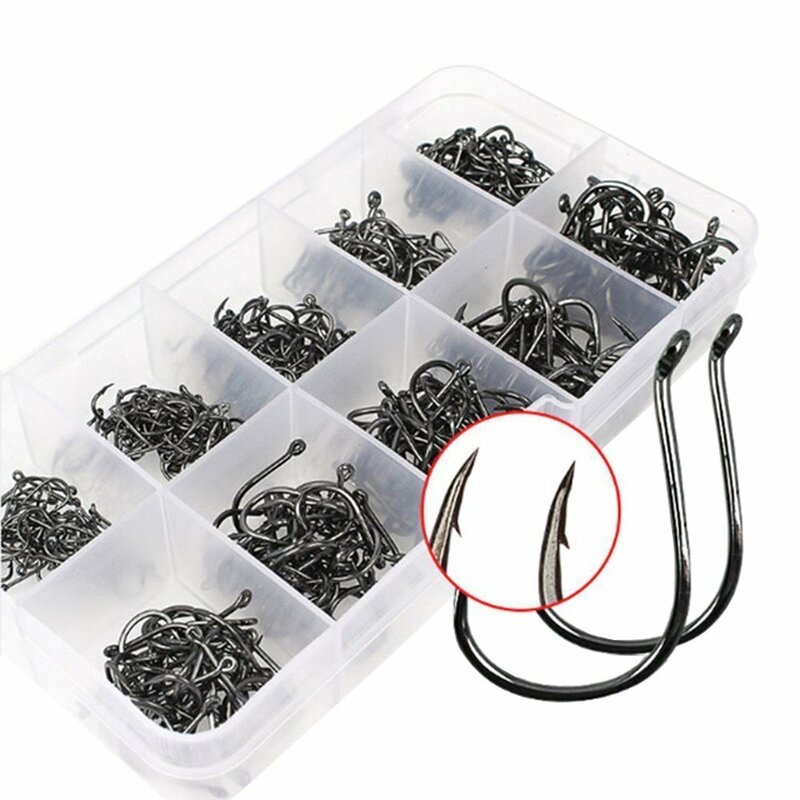 Man, if you can't find a small hook in this box, youre never going to find one anywhere. 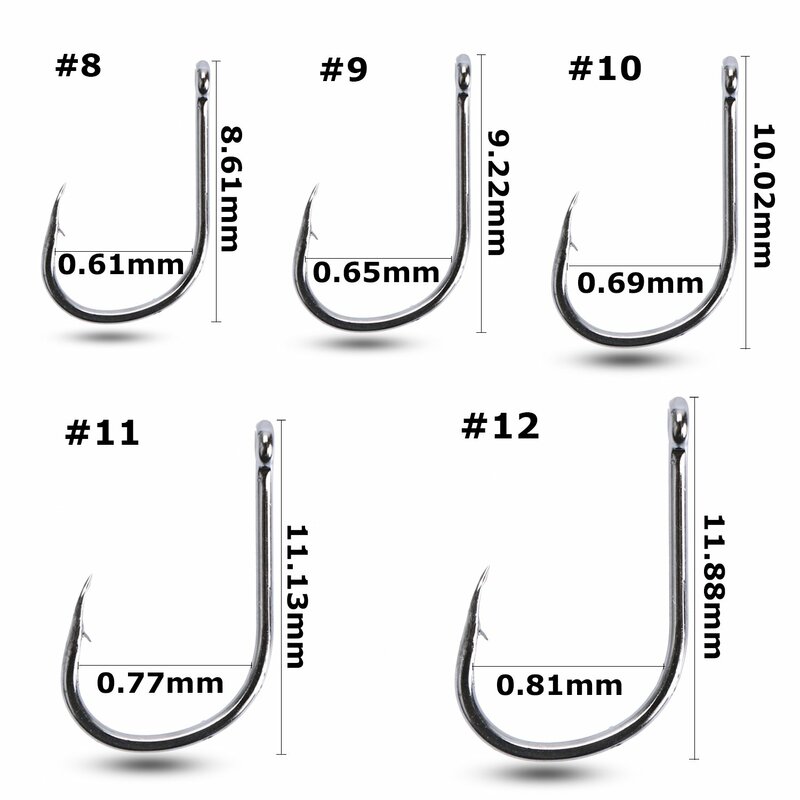 These are quality hooks and there are 10 different sizes. 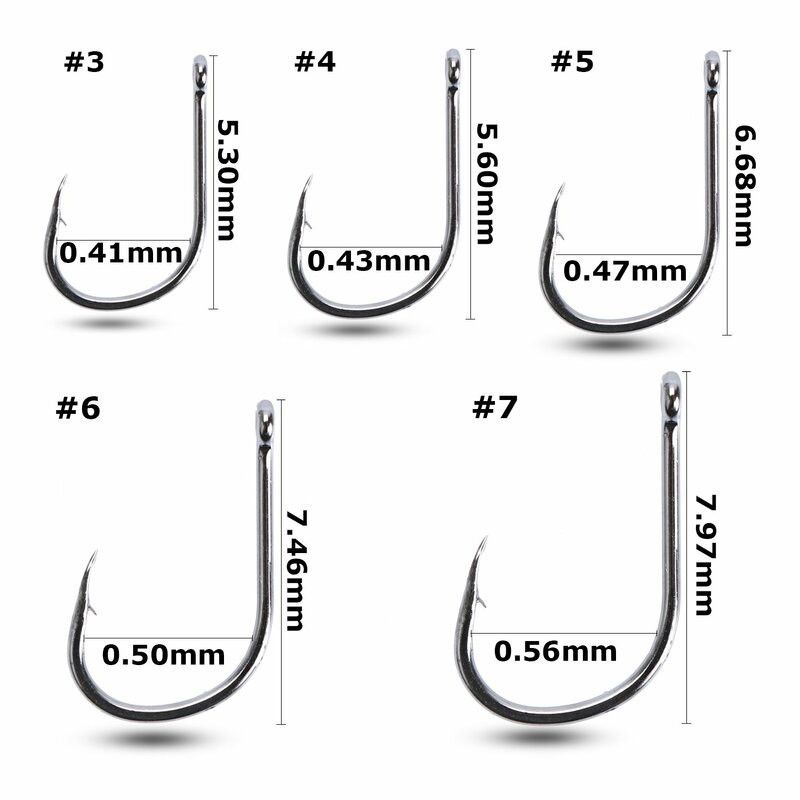 They range from a tiny 2 to a medium sized 12. 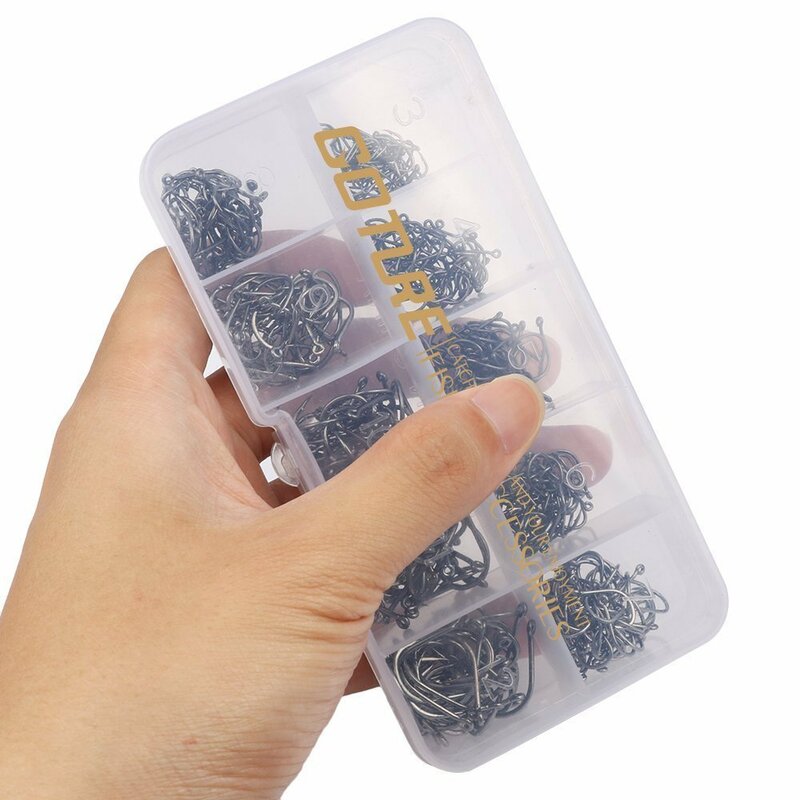 They are separated in 10 different sections and come in a waterproof clear box. 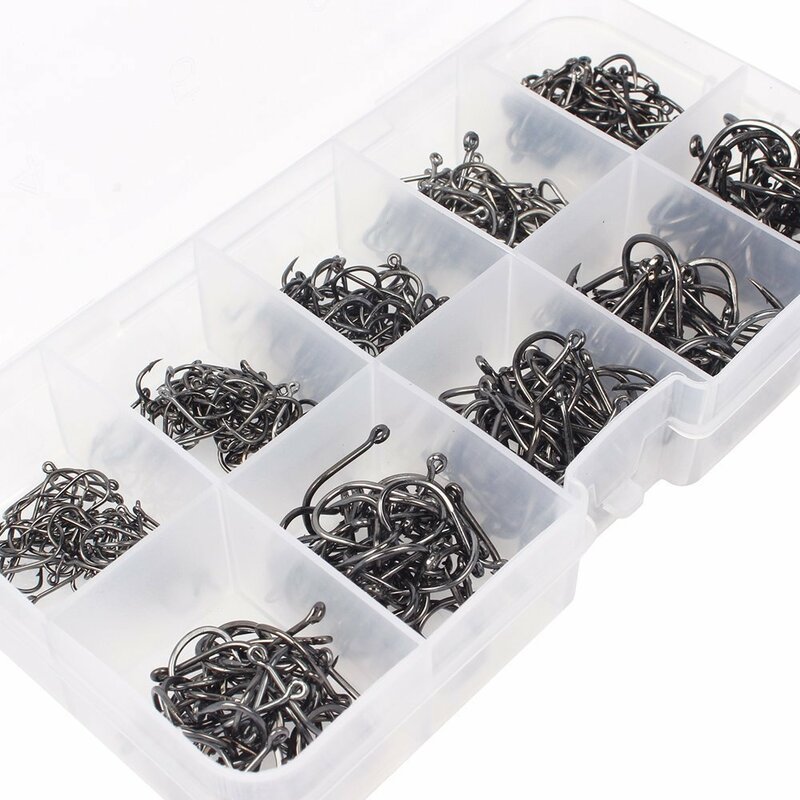 It just slides right into your tackle box so it's easy to take out and get the hook you need without having to go through 10 different boxes. 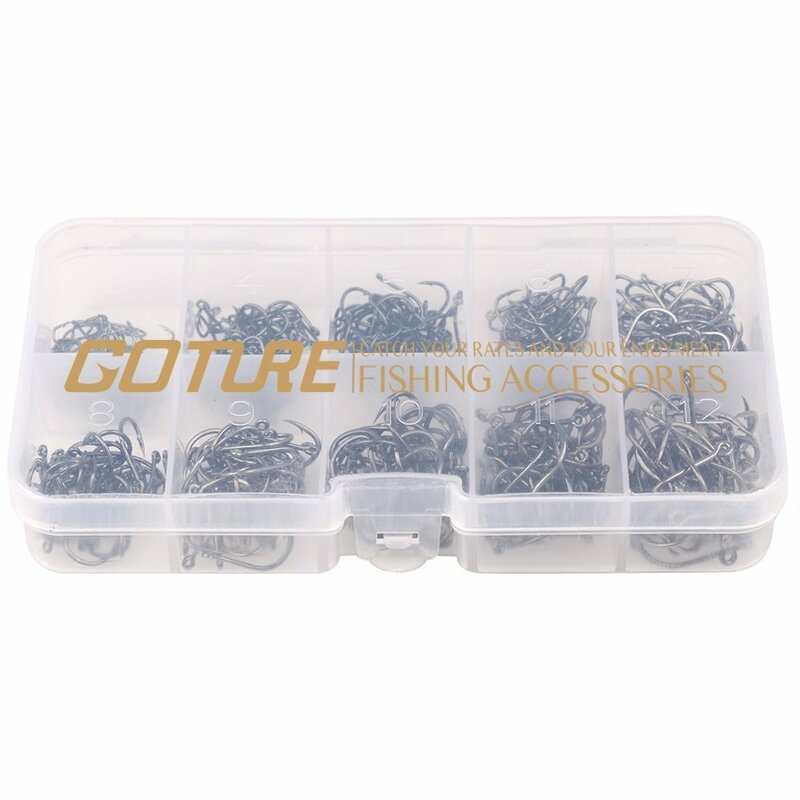 I use the Goture swivels too, so I just open up the swivel and change the hook to the next size. Easy Peasy!